2. The Kingsbury: We stayed in this hotel for a change so the pool was complimentary… (I couldn’t check if outside guests were allowed to use the pool) This pool was new, but the sea view was totally obstructed by the port city project. I loved the jacuzzi here and the water was kinda cold, but the pool was like super open and I felt like everybody’s eyes were on us (haha… I think I’m a little paranoid here, but what I mean is the pool is really, really open) and at the edge of the deep end (it’s not super deep, your feet could still touch the floor) there’s a main road a few feet away from the pool, where people walk around, staring at the pool & the hotel… Overall, I wish there was better privacy. The water was clean and beautiful at twilight. 3. CCC Mirissa: Our third stop was in Mirissa, wayyyyyyy off Colombo. 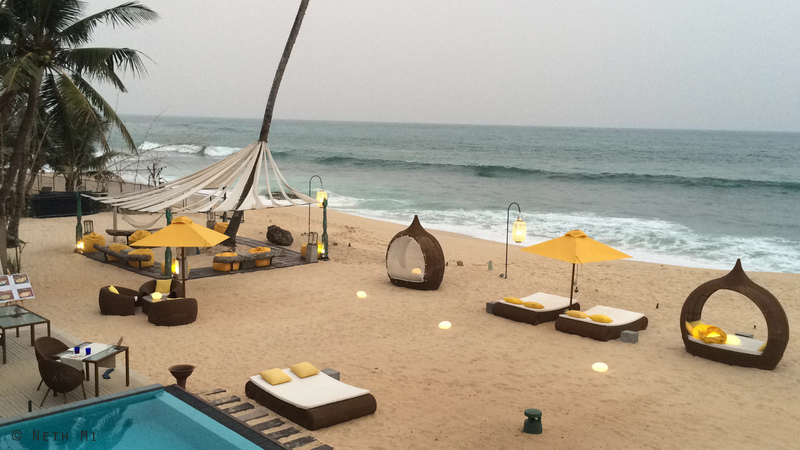 But Mirissa is a place you MUST visit, and the Casa Colombo Collection- Mirissa is truly a paradise within paradise. We stayed one night in this absolutely gorgeous boutique hotel and that was best time we had during our entire vacation. The pool was a solid block of pure turquoise with lukewarm water. I wish the pool was a little longer, although the view was pure heaven! If I talk a little bit beyond their swimming pool, their food was the best we had. Do not forget to try their desserts!! The breakfast was a scrumptious affair, and we loved that it was not a buffet. The complimentary breads were soooo yummy, I even stole from my boyfriend’s plate 🙂 I loved the beautiful interior and I can never forget the super-friendly staff… Overall, this place gives luxury & relaxation at its best! 4. 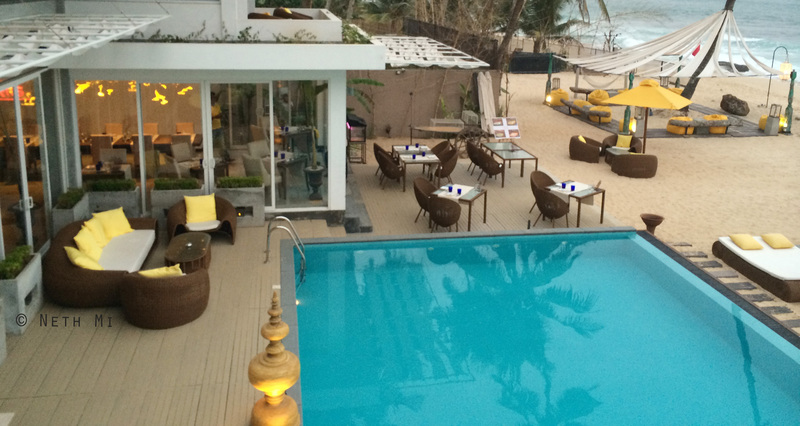 Cinnamon Grand: We wanted to check Cinnamon Grand when we came back to Colombo. It was LKR 1500.00 per person. Out of all 7 pools we checked in to, this was the most happening pool. 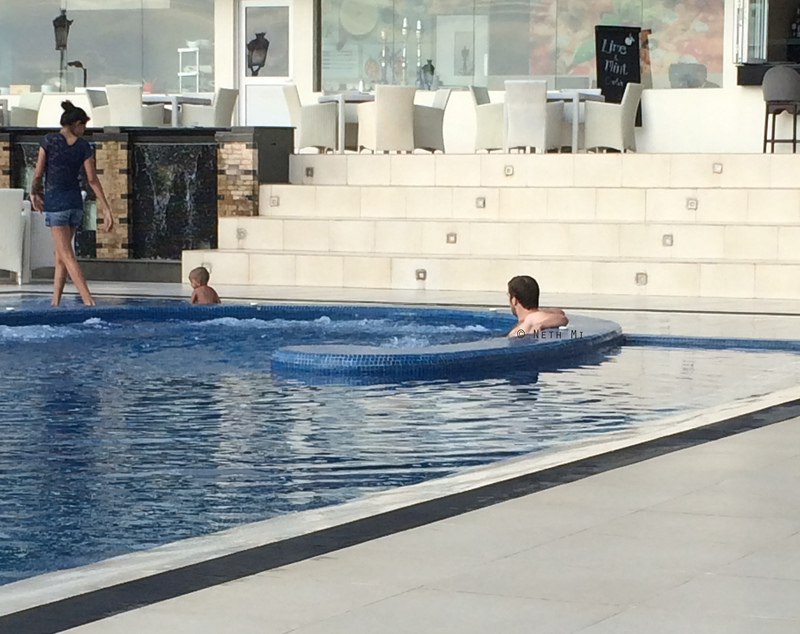 It was more of a family-pool, and the lukewarm water was not super clean like other pools we tried. However, it was a different but pleasant experience for us. 5. Cinnamon Red: This was the last hotel we stayed in, because the pool was not open for outside guests. 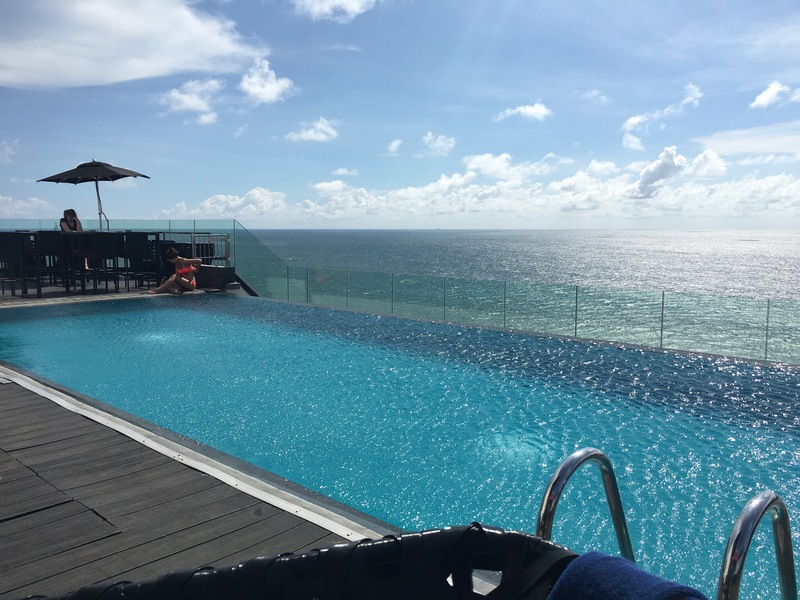 We loved the pictures online so we were like, ‘let’s stay there and see how it is!’ Their infinity pool had the most beautiful panoramic view (apart from CCC-Mirissa, because their view had a totally different beauty) and the water was the cleanest too. 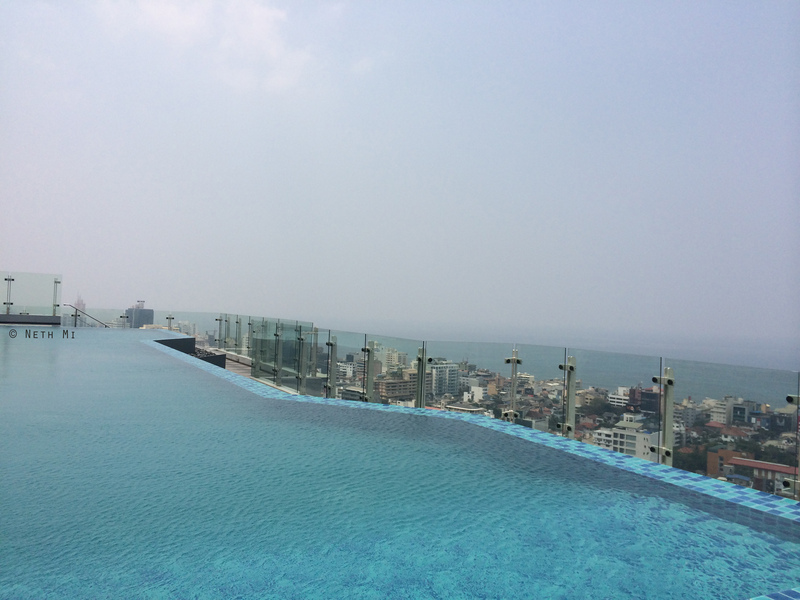 The pool was small in general, but the view takes it all… You could see most of Colombo from the pool side. Aside from the infinity pool, we were not super happy about the hotel. The breakfast could’ve been better and the in-room amenities were not satisfying. The hotel was quite business-y so this is not the best place for vacation/relaxation apart from the beautiful but fairly small infinity pool. 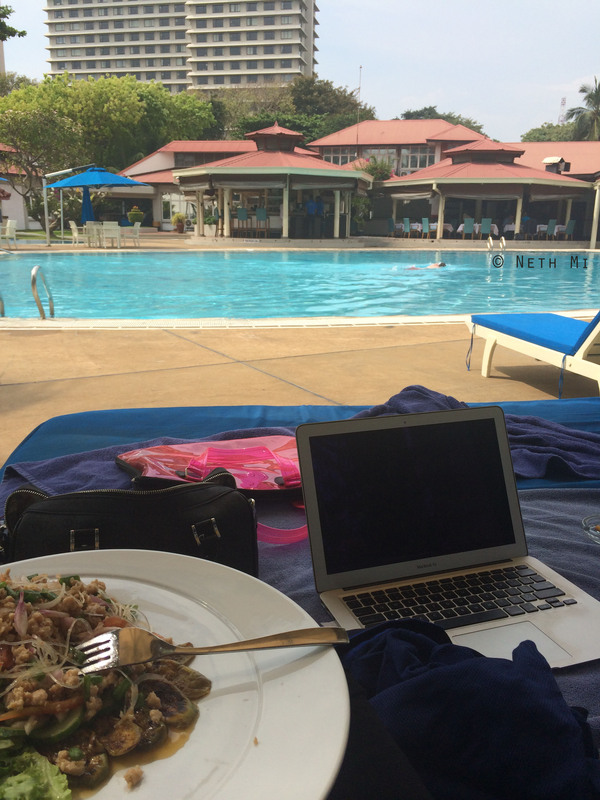 It’s good if you’re here for a business meeting or something and you just wanted to destress a bit by the pool side. Or else, they could make the rooms feel a little less business-like. I wish the pool side was larger too. 6. Hilton: On the 6th day we used Hilton’s pool. 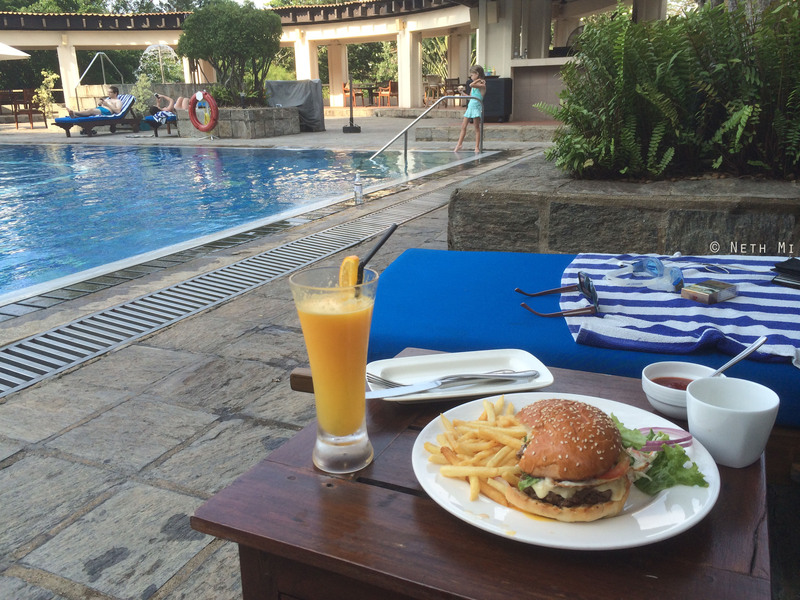 It was somewhere around LKR1700.00 (I can’t remember the exact price but it was between LKR 1700.00-1800.00) Hilton has a typical pool side. We loved it. The water was nice & clean. It wasn’t too crowded (we went on a Friday) and it was calm & relaxing. After the pool we went to their spa for standard 55 minutes olive-oil massages… It was a day well spent. 7. 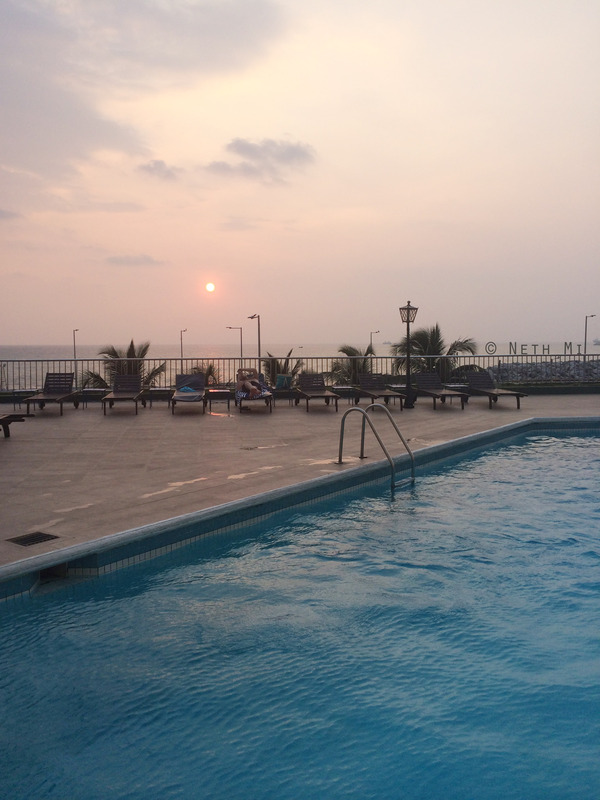 Taj Samudra: On Saturday we went to Galle Face Hotel, but their pool was restricted to hotel guests so we checked their neighbour Taj Samudra. We loved the Taj pool. It was another typical pool side. Again, the water was super clean and clear. (The clearest water we had seen) The pool was fairly large too. Out of all the swimming pools we tried, we loved the total experience here. It was LKR 1000.00 per person. The changing rooms looked quite old, but we definitely loved the pool. We also loved their food. (We ordered 1 chicken burger, 1 beef burger, 1 diet coke & 1 orange juice. Both burgers & the OJ were excellent. This was the best beef burger I had in a long time) Another well spent day! p.s. This article was not sponsored by any of the hotels mentioned. We paid for all the pools and hotels we stayed in. i liked the disclaimer at the end, all the same beautifully written and the in-between jokes were on par.